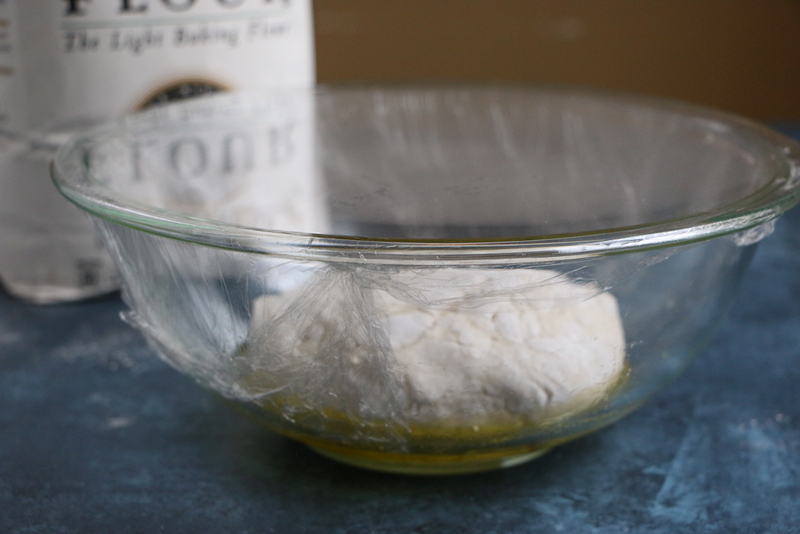 Foolproof Pizza Dough! 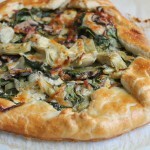 Homemade pizza dough from scratch takes some time but it’s well worth it! Just follow the instructions and you’re set! If you read my last post, this post will look familiar. Since we make pizza all the time, I figured this Foolproof Pizza Dough needed to have a page of it’s own. 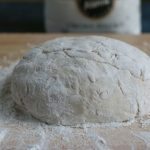 I wanted to make a pizza dough recipe that used all purpose flour because that’s what most people have at home. 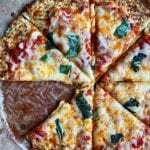 Some recipes you will see online use bread flour, or all purpose flour + ground yellow cornmeal . . they are all good but again, I wanted to show you how to make a pizza dough with ingredients you probably already have at home. Doesn’t get any easier than that! So, let’s get started! Combine your all-purpose flour with 1 teaspoon of salt and, pour the warm water and active dry yeast mixture into the center. You don’t really need anything fancy, but you will need a fork, a rolling pin, a flat surface and some more flour for dusting. 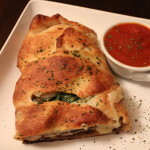 Check out the recipe card below for the rest of the instructions and be sure to try one of my pizza recipes down below! 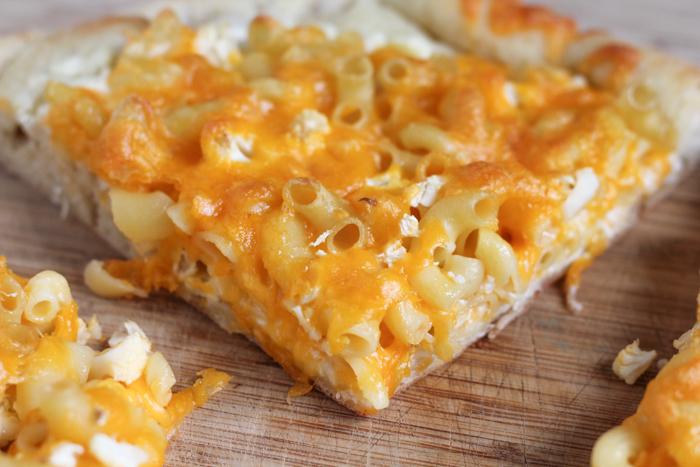 Be sure to let me know if you try this Foolproof Pizza Dough recipe! 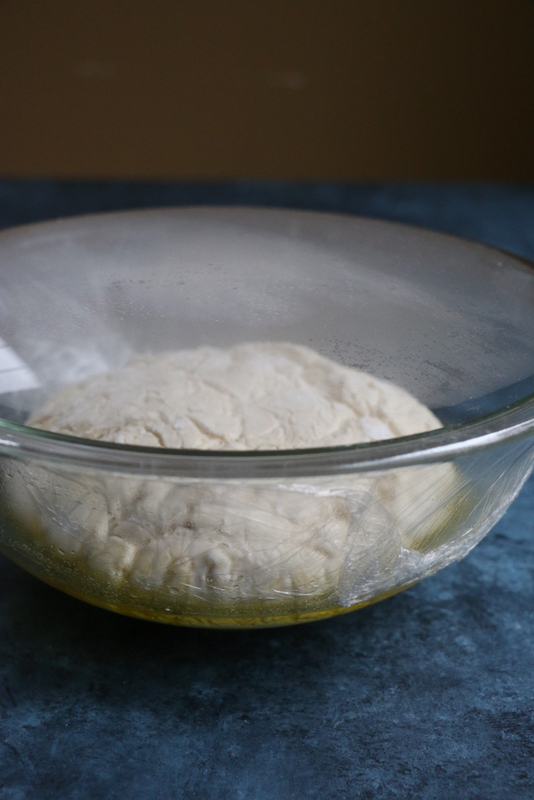 Pizza dough makes 1¼ lb. dough, enough for a 12-inch thin-crust pizza or a 9-inch thick-crust pizza, or two medium sized pizzas. 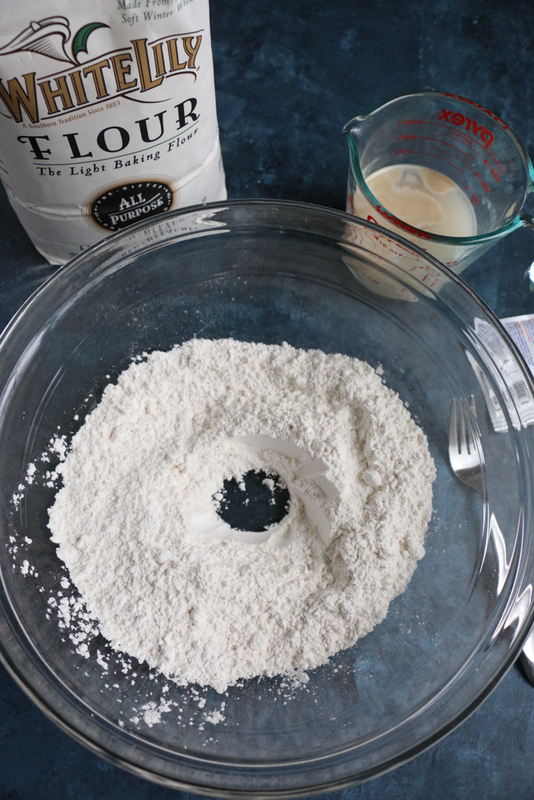 In a large bowl, stir together the 2¾ cups all purpose flour and the salt and form into a mound. Make a well in the center and slowly pour the yeast mixture to the well. 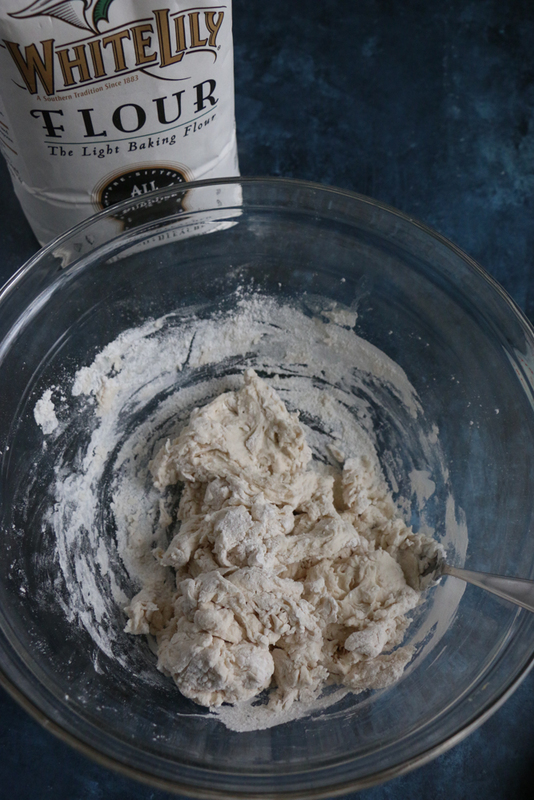 Using a fork and stirring in a circular motion, gradually pull the flour into the yeast mixture. Continue stirring until a dough forms. When ready, turn the dough out onto a lightly floured work surface. 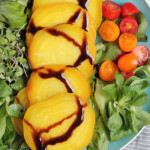 Punch down the dough and, using your hand, begin to press it out gently into the desired shape. 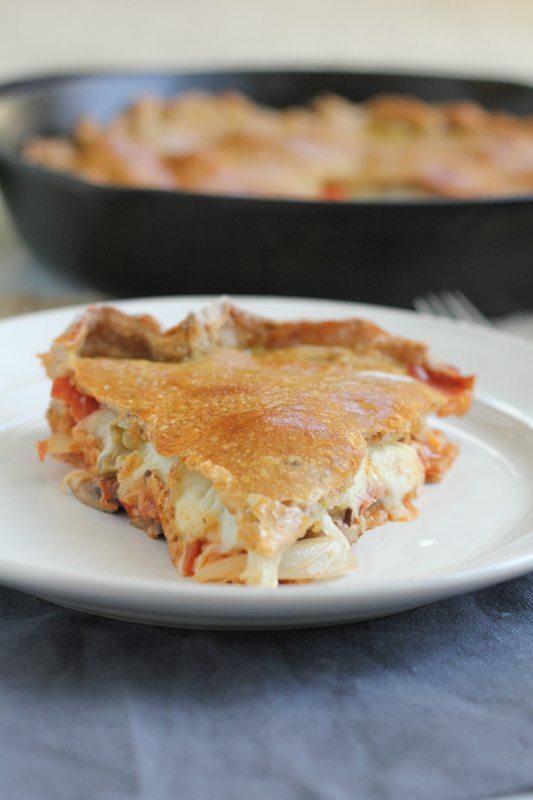 Place one hand in the center of the dough and, with the other hand, pull, lift and stretch the dough, gradually working your way all around the edge, until it is the desired thickness, about ¼ inch thick for a crusty pizza base and ½ inch thick for a softer one. 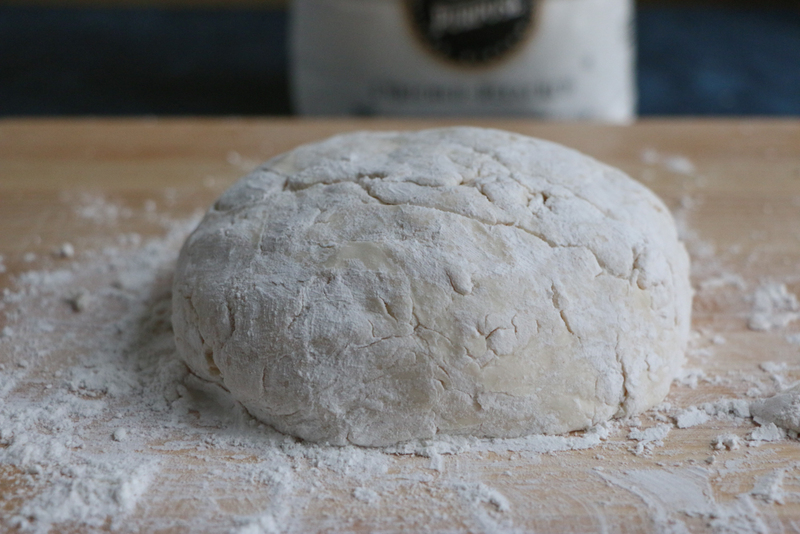 Flip the dough over from time to time as your work with it, or roll out the dough using a rolling pin. The dough should be slightly thinner in the middle than at the edges. 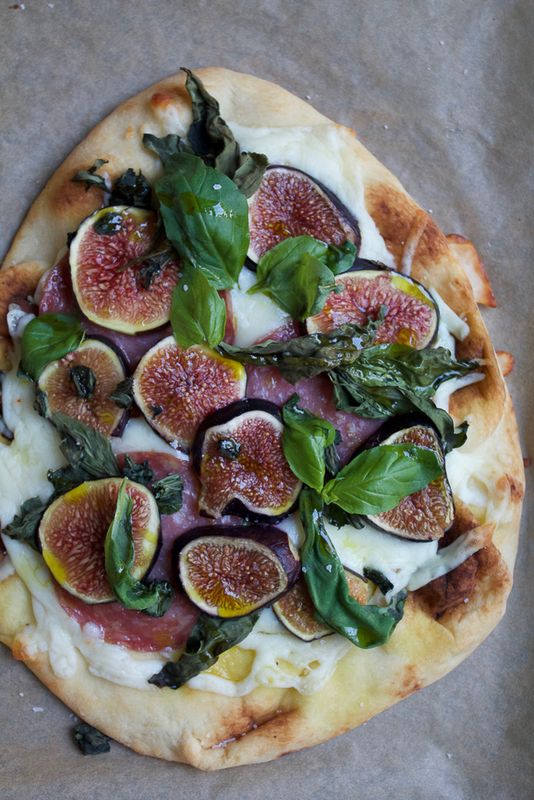 Using your rolling pin, transfer the pizza dough to a pizza stone, pizza pan or baking sheet, cover with a kitchen towel and let rise again until almost doubled in size, for about 20 minutes. Now, your pizza dough is ready to go! 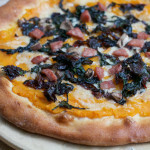 Use your pizza dough for any Hip Foodie Mom pizza recipe and enjoy! 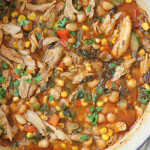 « Le Creuset Dutch Oven Giveaway! Hooray!!!! Let me know how it works for you!!! 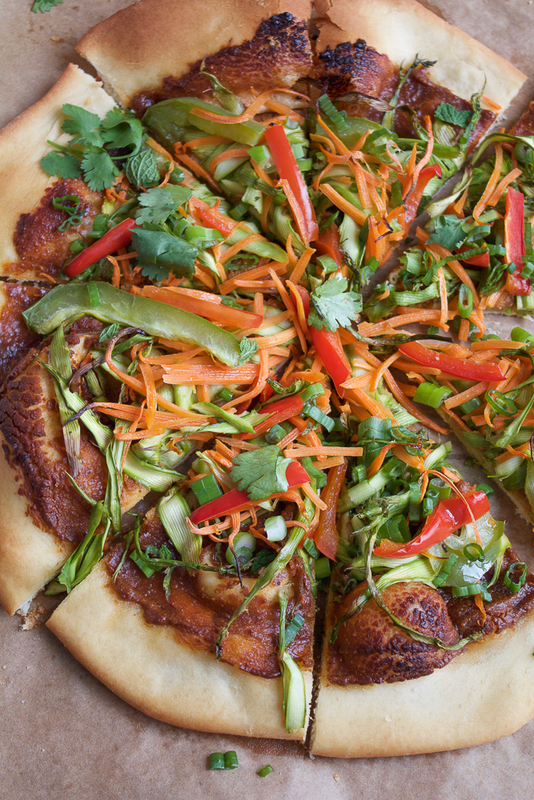 and kimchi pizza sounds AMAZING!!! Hi Patti! 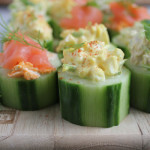 Yes, you can wrap in plastic wrap and leave in the fridge but I would recommend only leaving in the fridge for one day. I also freeze my pizza dough and place it in the fridge overnight to defrost. Let me know if you try this! 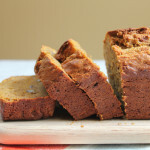 And make sure you read the recipe in full beforehand. . there are two rises! Just wanted to make sure you saw that. Hope you enjoy it! Thank you! I ended up being able to follow rise times the first time around (and my pizza was amazing!). 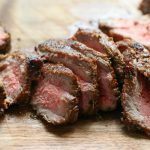 The recipe is so simple I know i’ll be using it again with your suggestions. 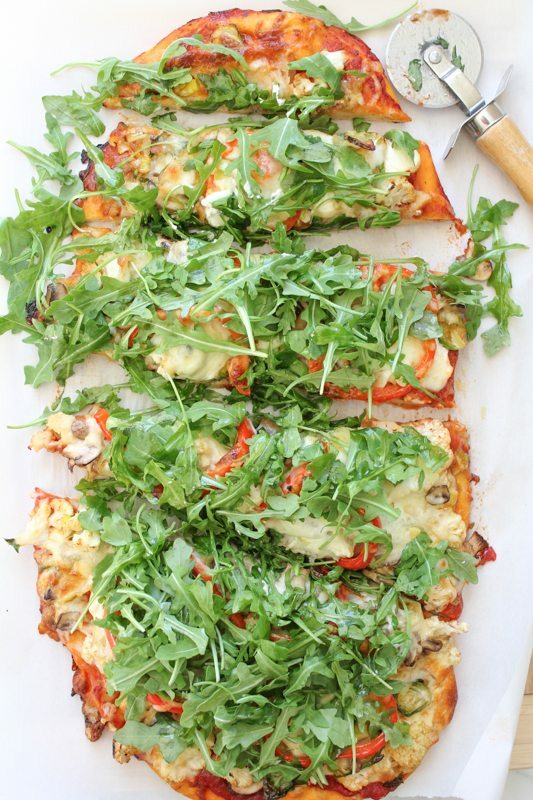 I love homemade pizza and I can’t wait to try your dough recipe for our next pizza night!